Elderflower syrup is a delicious way to enjoy the offerings of the summer months. 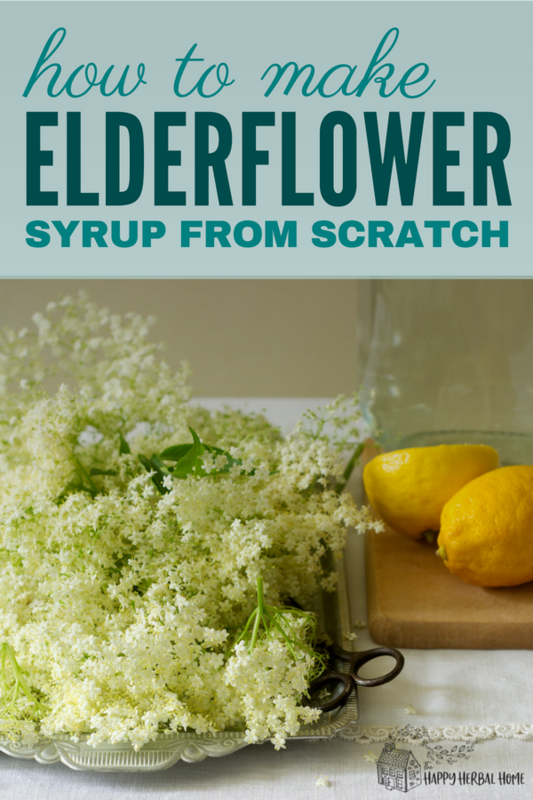 If you are wanting to make your own syrup this easy homemade elderflower syrup recipe is sure to be a hit. This post may contain affiliate links. This means if you click on a link and make a purchase of a recommended item, we may receive a small commission at no cost to you. You can read our full disclosure here. Elderflower syrup is an herbal syrup made from the flowers of an elder bush. It’s mostly known for its delicious flavor, but the elderflower is chock full of nutrients and beneficial health properties including boosting the immune system. Prepare your fresh elderflowers by shaking out debris and removing any bugs. Next trim back as much of the branches off as possible. While elderflowers and their berries are safe to eat and loaded with health benefits, their branches, bark and roots are considered toxic, so it’s best to avoid these parts. Some people prefer to wash their flowers to help remove dirt and debris. I, however, prefer not to as it removes much of the pollen and flavor of the flowers, along with some of the healthful benefits. 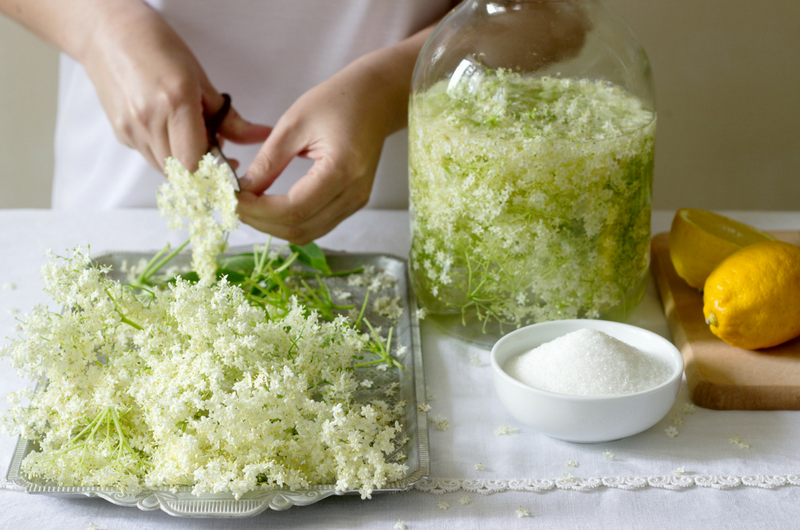 Next put your flowers into a large glass jar cover with water and allow to sit for 24 to 48 hours at room temperature, creating a slow infused elderflower tea. Once the elderflower tea has finished steeping, strain the tea into a large pot. You can compost the flowers, or use them for a pretty garnish. Add in your sugar and lemon juice and heat until sugar has completely melted and your syrup is clear. 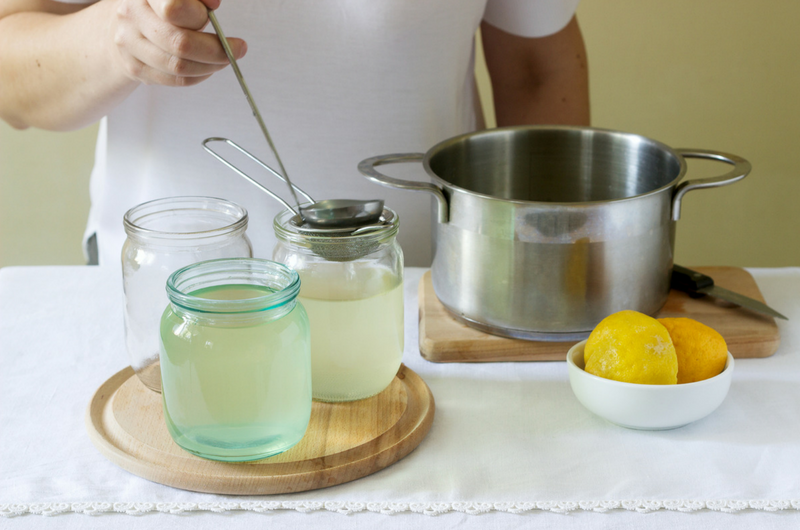 If you want to preserve your syrup for longer than one month, now is the time to add in your food grade citric acid. Next, pour your elderflower syrup into very clean jars and store up to 1 month in the fridge. If you added the citric acid, it should store well for up to a year. 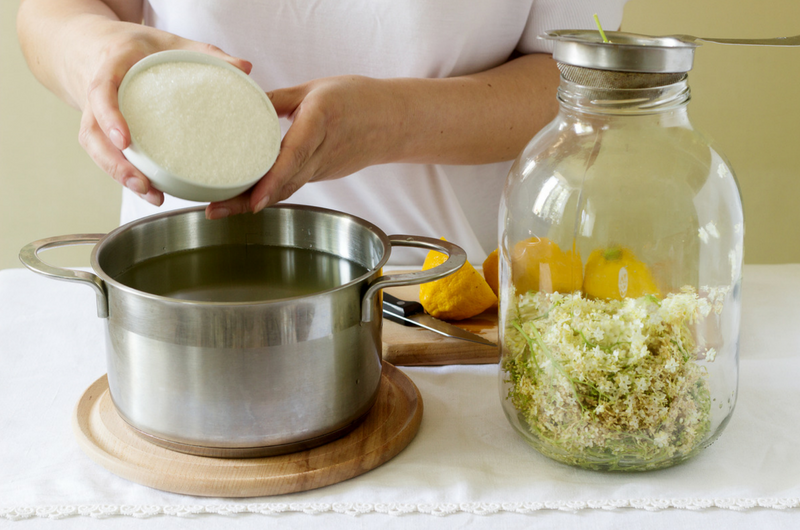 Prepare your elderflowers by giving them a good shake to remove any bugs or debris. Some people like to gently wash their flowers to help remove any dirt. However, it’s not necessary to rinse the flowers, and doing so may remove some of the flavor. I like leaving as much as the pollen on in order to get the full health benefits from the elderflower. Then trim the flowers removing as much of the branch as possible, leaving mostly just flowers. Place your flowers in a large glass jar and fill with your water to cover the elderflowers completely. 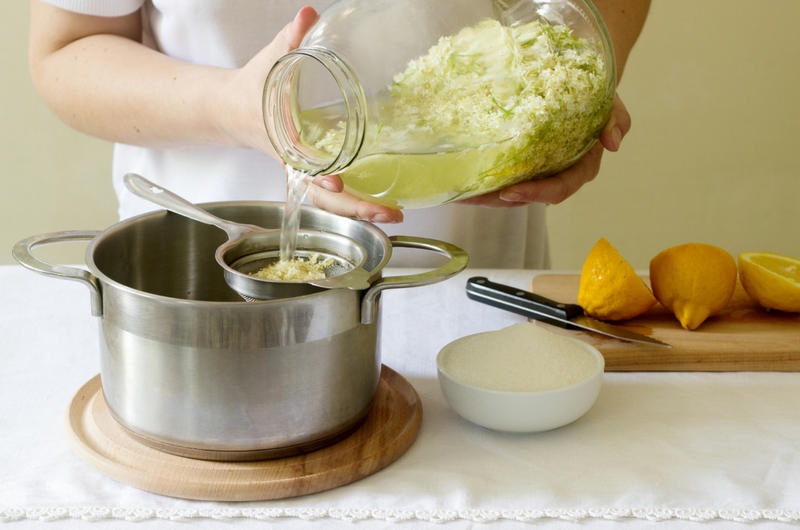 Cover your jar and let sit for 24-48 hours at room temperature, creating an elderflower tea. Now strain your elderflower tea into a large pot. Now you can pour your syrup into clean jars and refrigerate. This syrup will last about a month on its own. If using citric acid it should keep for up to a year. If you don’t have access to fresh elderflowers, you could use dried flowers instead, but fresh flowers will be most flavorful. Citric acid is a food derived preservative commonly used for preserving homemade canned goods. You can find it in most canning food stores or you can get GMO-free citric acid on Amazon. 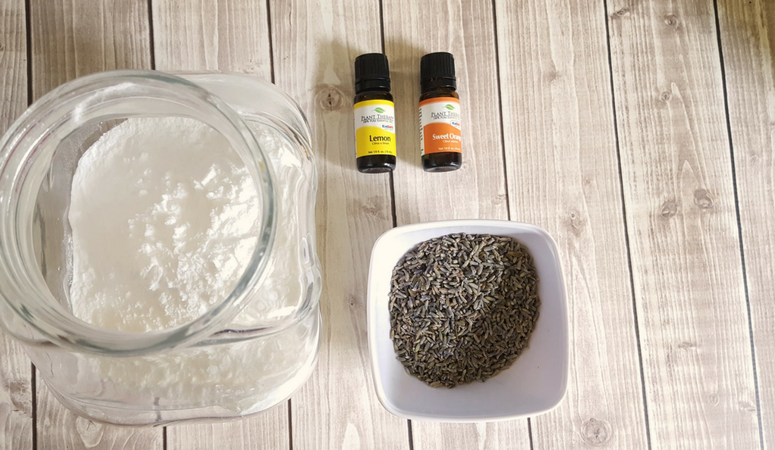 This syrup can be added to many recipes and drinks to give it a beautiful floral flavor and added health benefits. This syrup can be added to cakes and other baked goods to add a unique flavor. Add to vodka or sparkling wine for a unique spritzer. 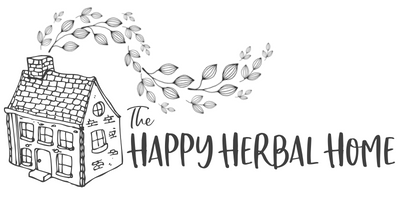 If you are interested in learning about herbs and how to incorporate them into your everyday life for a fun and delicious way to stay healthy, I highly suggest checking out The Herbal Academy. Taking a few courses from them has completely changed the way I see and use herbs. You can read my full review of their herbal online courses here.